A unique DANCE photoshoot day at Lefkara! 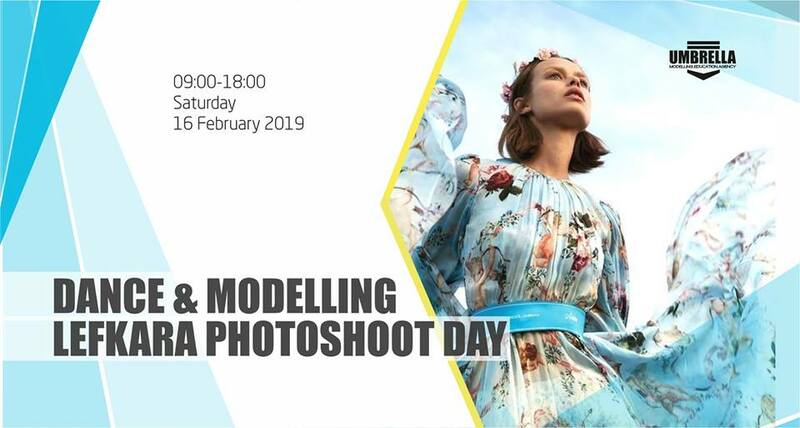 After the great success of our previous Dance & Modelling Photoshoots, we proudly organize the Part VII, on Saturday, 16th of February at the beautiful village of Lefkara. Transportation: Busses from all cities. Umbrella Modelling Agency & Production Company was founded in 2014 by Mr Ioannis Mallas to provide quality training and coaching to models in order for them to participate in Modelling Jobs. Later, it expanded into the “production” industry, concentrating in high end productions in Dance, Fashion and generally Arts! 1. UMBRELLA PRODUCTION Mission: To produce high end and cutting-edge material for any use in the industries of Dance, Fashion & Arts! 2. UMBRELLA AGENCY Mission: To represent models to clients and act as their manager, in order to have the best jobs in the modelling industry! 3. UMBRELLA MODELLING SCHOOL Mission: To provide quality training and coaching to models, in order to become successful! Unique Dance & Model photoshoots resulting in excellent results! There are several packages and prices for professionals and also for starters where you can choose from. 1. Dancers & Models have the chance to create a professional portfolio. 2. To obtain personal or group photos, with a unique photoshoot which is happening once every year. 3. Quality results from professionals. 4. For the best photos to be included in Blurred Magazine. 5. Wide range of prices for everyone who wish to participate. 6. Keep your portfolio in the Umbrella Agency Database for future jobs in the industry. 7. For dancers to show their portfolio at different auditions. 8. To practice poses, expressions and styling. 9. Guidance by the most experienced in the industry, stylists, photographers etc. 10. Network with our Associated photographers, stylists, make-up artists and boutique owners. 11. To use the photos for your own benefit eg. applications to Universities, Instagram, Profiles etc. 12. Extra benefits for Dance Schools: 1 page presentation in Blurred Mag if participating as a group. WHO CAN PARTICIPATE: (All ages individuals) Dancers / Models or just ordinary people for any use! All categories and dance groups / Other categories like yoga, rhythmic gymnastics and fitness.